The analytical and instrumentation labs are offered with the standard granite top work benches, level adjusting screws and anti vibration rubber pads. These are ideal for power points and gas lines with isolation valves and gauges. We have excelled in the business of manufacturing, exporting, and supplying the best grade Micropipettes. Designed to perfection, the Micropipettes available with us are required for varied laboratory experiments. Further, the separate tip ejection (two-button operation) and the ergonomics certified by TÜV Rheinland make these Micropipettes indispensable. These Micropipettes are designed using innovative technology thus; these possess some advanced features like fixed-volume, adjustable and multi-channel. Ion:±0.5 % of readingmonovalent, ±1.0% of readingbivalent. 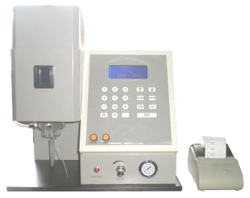 pH and ion concentration double-parameter meter with high accuracy. Equips model 2503 pH electrode, suitable for measure the weaker ionic strength, feculent and colloidal solution. pH measure mode for high purified water and ammonia added purified water can be setup, suitable for use in electric power and petrifaction industry. Meter inside with ten kinds of ions can be selected, also can self-define other ions. Two kinds of calibration solution can be self-setup to directly test the ion concentration of sample solution. 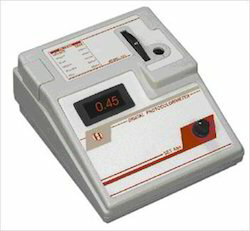 Flame Photometer is used for analyzing & measuring the content & concentration of elements (K, Na, Li, Ca, Ba). It can be widelyapplied to laboratory, clinical experiments and pathology research (serum, urine, plasma), agriculture (soil, fertilizer, tobacoo) industry (cement, glass, ceramics, mineral or ore powder, fireproof material), food (wine, water), etc. K & Na filters & air-compressor as standard accessories. Li, Ca, Ba filters as optional accessories. Dual channel & 4 digital LED display. Unique ignition path & keyboard operate. Fine & coarse sensitivity controls. 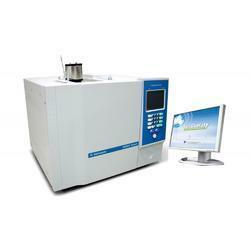 The process of Gas Chromatography is carried out in a specially designed instrument. A very small amount of liquid mixture is injected into the instrument and is volatilized in a hot injection chamber. Then, it is swept by a stream of inert carrier gas through a heated column which contains the stationary, high-boiling liquid. As the mixture travels through this column, its components go back and forth at different rates between the gas phase and dissolution in the high-boiling liquid, and thus separate into pure components. Just before each compound exits the instrument, it passes through a detector. When the detector "sees" a compound, it sends an electronic message to the recorder, which responds by printing a peak on a piece of paper. 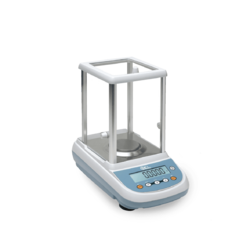 One can avail form us a wide assortment of Analytical Balance, which are widely used in various analytical instrumental and scientific analytical labs. 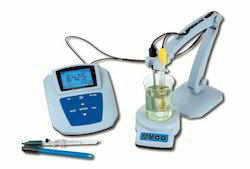 We procure these Analytical Instruments from the certified vendors who precisely engineer these Analytical Instruments with utmost care. 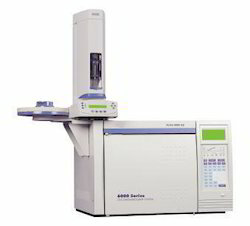 We assure our clients for the smooth performance and maximum efficiency of these Analytical Instruments. We offer various ranges of these Analytical Instruments, including digital polari meter, density meter, and digital refract meter. 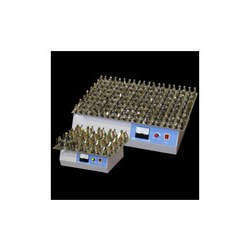 Lab shakers consist of a broad table or platform which is oscillated by means of an electric motor. The samples are placed either in a beaker or Erlenmeyer flask on top of the platform which is clamped around the neck, or in test tubes or vials which can be nested into an appropriate holder. Lab shakers agitate samples either through a reciprocating linear motion, backwards and forwards, or through an orbital motion. In an orbital shaker, the platform moves in a circular motion of small diameter to create a vortex effect within the samples. 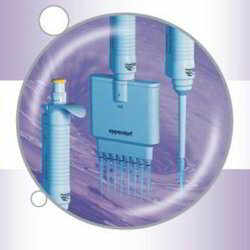 The orbital motion provides a swirling action on the sample which is ideal for aeration, for example. A linear shaker is more aggressive, making it ideal for applications in which reagents must be thoroughly mixed, such as extractions. Scilogex offers two sizes of orbital laboratory shaker, both of which offer a precise and easily controlled shaking motion for thorough mixing. 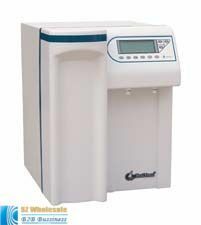 We offer quality range of Refrigerated Benchtop Centrifuge. We are a prestigious company engaged in offering a wide range of Refrigerated Benchtop Centrifuge. These are precisely engineered by our highly experienced professionals using best quality material and advanced technology. 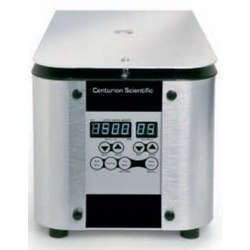 Offered Refrigerated Centrifuges find applications in various laboratories and are highly reliable in nature. Moreover, our clients can avail these at very economical prices. The Micro Centaur Plus is an improved version of the original Micro Centaur, adding new features and accessories. Its space-saving design and programmable features makes it an ideal choice for you laboratory. 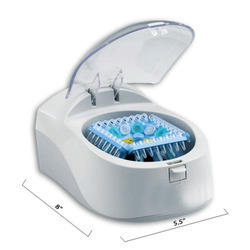 This powerful microcentrifuge is capable of speeds up to 14,000 rpm and can use a range of rotors up to 2.2ml capacity. A Haematocrit and PCR rotor is also available. So much easier to load, empty or clean than rotors in wells. The rotor removes quickly for autoclaving. In case of an accident, spilled liquids or broken tubes remain in the rotor, not in the centrifuge. 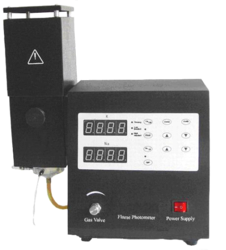 For short bursts of centrifugation or manual operation, simply press and hold the ‘Pulse’ button. For automatically controlled spins of longer duration, the timer can be set for intervals of up to 99 minutes. 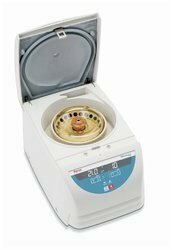 The Micro Centaur Plus microcentrifuge weighs only 5 kg meaning you can easily carry it from one laboratory to the next, or use it for off-site research purposes. Furthermore, its small footprint (270 x 220 x 180mm when closed) makes it an ideal choice in laboratories where space is a premium. Choose which rotor best suits your centrifugation needs: 24 x 2.2ml, 18 x 0.5ml rotor, PCR strip or haematocrit rotor. Alternatively, you can combine the 24 x 2.2ml rotor with a tube support for added flexibility. The aerodynamically designed rotor spins smoothly and quietly, virtually without vibration, even at maximum speed. An electronic interlock prevents operation of the lid release button while the rotor is in motion. An indicator light signals when the rotor has come to rest and the lid may be opened safely. For emergency situations such as power failures, an override key is provided. Heal Force Ultra Pure Water System NW series is a water purification system which includes RO technology with the mixed bed resin(electronics grade), activated carbon, ultrafilter, UV oxidation technology to produce the best reagent grade water. Heal Force Ultra-pure Water System PW Series Ultra Pure Water System is an advanced and necessary laboratory equipment which is widely applied in labs, hospitals, research institutions and water quality monitoring areas to deal with precise instrument analysis, trade analysis, diagnosis reagent, toxicology research and sophisticated optics and so on. This equipment which adopts advanced module device, micro processor, nuclear-electric water treatment is a new-age ultra pure water system. It measures the absorbance of particular wavelengths of light by a specific solution. This device is most commonly used to determine the concentration of a known solute in a given solution. The Halo DB-20 is a high performance double beam spectrophotometer suitable for many analytical applications where a higher level of accuracy is required. Coma aberration elimination from the concave diffraction grating achieves a high resolution 1.5nm (DB-20S : 1nm) spectral bandpass and certifies compliance of the Halo DB-20 to the stringent European Pharmacopoeia standards. Other specifications include an impressive wavelength accuracy of 0.3nm, noise level 0.0003Abs (500nm) and stray light 0.05% (220nm NaI, 340nm NaNO2). Photometry Mode: Perform quantitative analyses in either absorbance or transmittance modes. Select from single wavelength, up to 6 different individual wavelengths, nucleic acid/protein A260/A280 ratios and set up calibration curves with up to 20 standards for concentration measurements. Wavelength scan: Perform a full spectral scan from 190 to 1,100nm at any of 8 incremental and preset selectable scan speeds starting from a high resolution 10nm/minute up to a swift 3,600nm/minute. Data is displayed as either numerical values or a graphical spectrum. Furthermore perform downstream processing of data, such as peak/valley search or smoothing, directly on board or with the optional Halo UV Detective software. By virtue of the long life, halogen tungsten and deuterium lamps, the Halo DB-20s wavelength range is an extensive 190nm - 1,100nm. Besides, the dual lamp system results in higher accuracy than corresponding xenon lamps. Lamp switching is automatic and selectable from a wavelength range of 325nm to 370nm. The extra-large 190mm x 138mm, backlit LCD screen with adjustable brightness control displays a large array of data also in graphical format. The seamless and chemical resistant keypad is designed for easy and quick selection of navigation and function features whilst protecting against any laboratory spills. To ensure optimum instrument performance, self-diagnosis incorporating a number of parameters and wavelength calibration are automatically initiated upon start-up. The Halo DB-20 is also equipped with a GLP/GMP feature for analyses requiring validation and auditing. Parameters such as wavelength accuracy, wavelength reproducibility, bandpass, baseline flatness, baseline stability and noise level can be all validated and the audit report printed. The Halo DB-20 is fully equipped and capable of executing all functions in standalone mode. Simply connect a standard laser printer for direct printouts of data and graphs. For more advanced control, analyses and reporting, the simple slide of a switch places the Halo DB-20 under the direct control of the optional UV Detective software. This instrument is used for analyzing & measuring the content & concentration of elements (K, Na, Li, Ca, Ba). It can be widely applied to agriculture (soil, fertilizer, tobacoo), industry (cement, glass, ceramics, mineral or ore powder, fireproof material), food (wine, water), laboratory, clinical experiments and pathology research (serum, urine, plasma), etc. Operates on propane, butane or liquefied petroleum gas. Ba 5 elements. With K, Na, Li, Ca, Ba five filters, which can detect three kinds of elements, show three kinds of element content simultaneous. Standard accessories: air-compressor, PC software or micro-printer. LCD Display, touch panel with numeric keypad. Single point calibration & calibration curve can be saved.